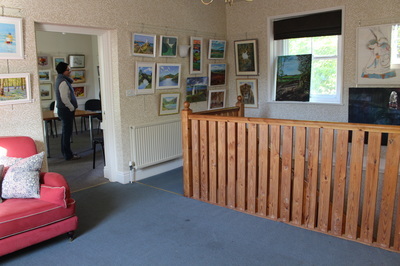 small clubs or business meetings and presentations, and its plain walls also make it suitable as an exhibition location. 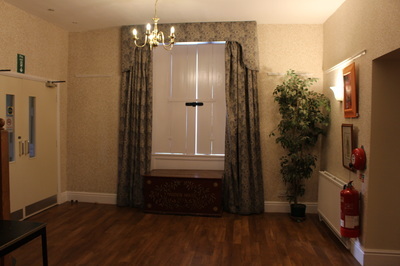 Seats 12 boardroom-style, or up to 30 with an informal layout, or for a drinks party. 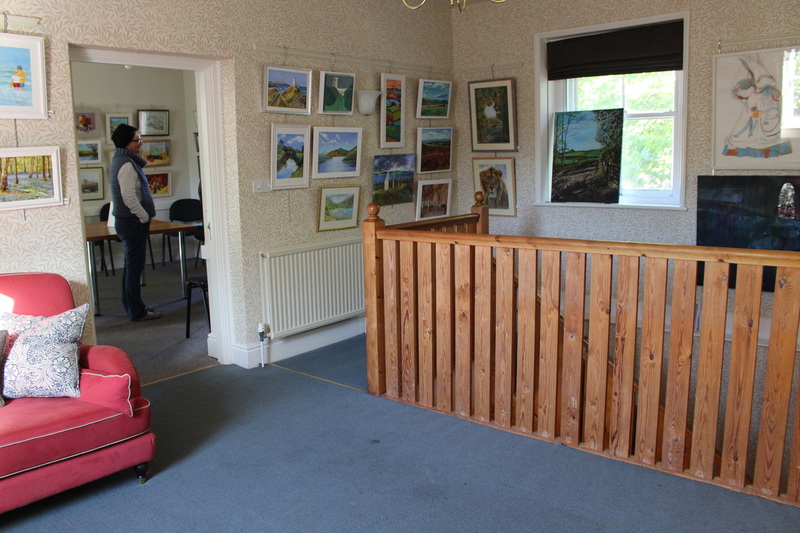 To check availability contact Graham Spencer. 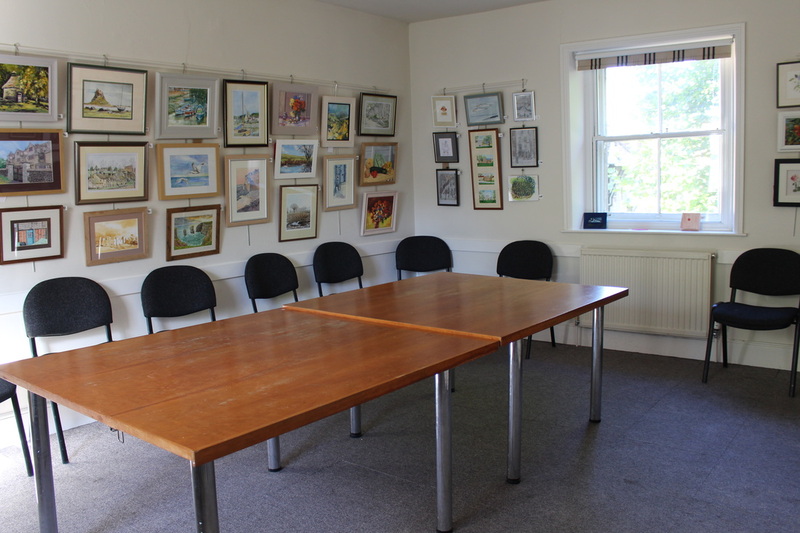 The Committee Room is available for hire at a rate of £10.00 per hour or part of an hour before 6:00 p.m. and £12.00 per hour or part of an hour thereafter. Concessionary rates are available. Commercial rate £15.00 per hour or part of an hour. 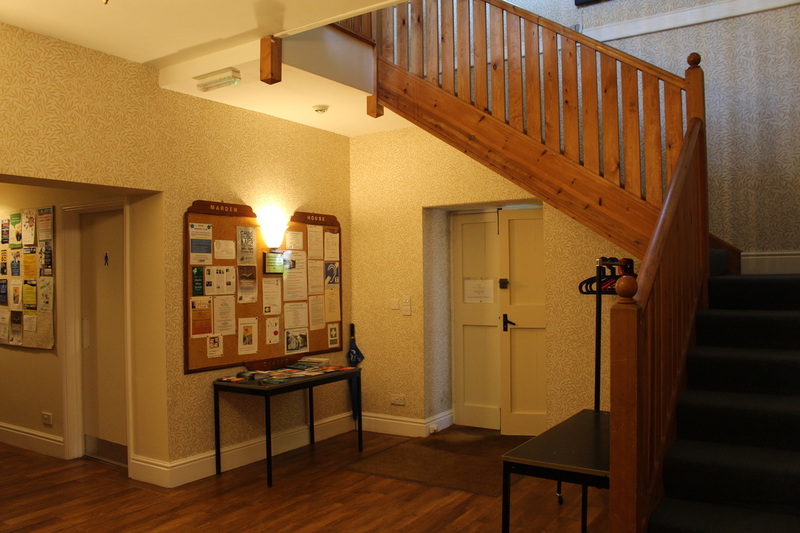 The Committee Room and large landing area is accessed via the stairway from the main entrance foyer.